The only thing that I can say about overnight oats is that I wish I had made these sooner. I started making them last month. 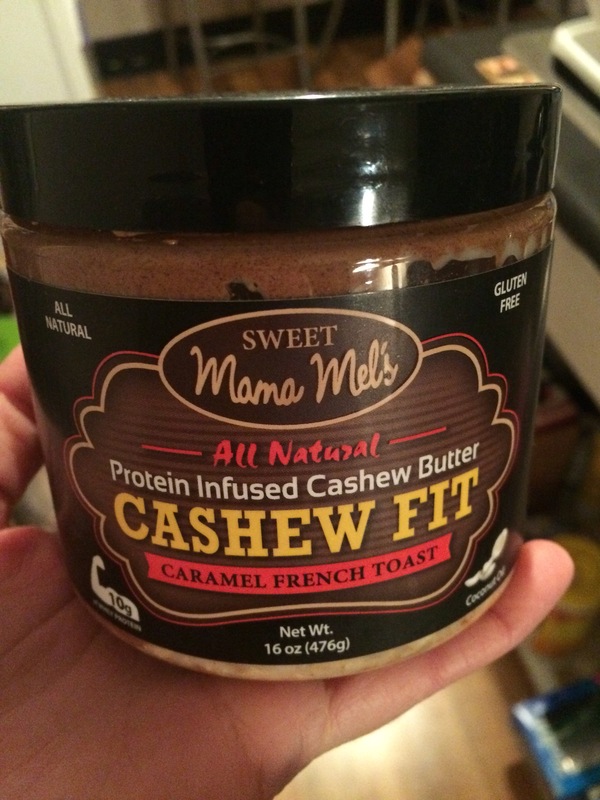 I believe it’s because I was nervous about having too much nut butter in the container and going out of my macros. Well, I won’t lie, to ensure that I got all of the cashew butter mixed into my oats that I made last night, I scrapped the last bit of the container and weighed it. The put it back in the container. 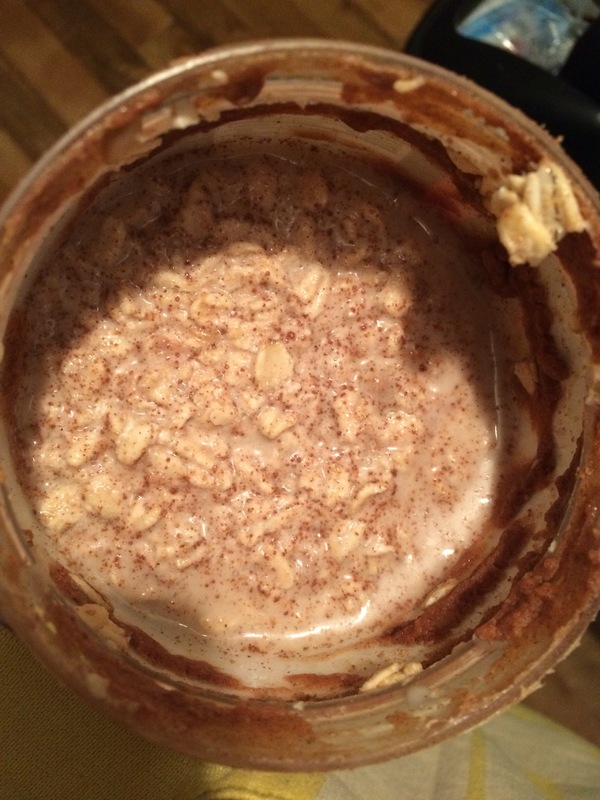 Obviously, not the point of using the jar, but overnight oats can be measured or not. It’s your preference. This is my basic recipe for overnight oats. 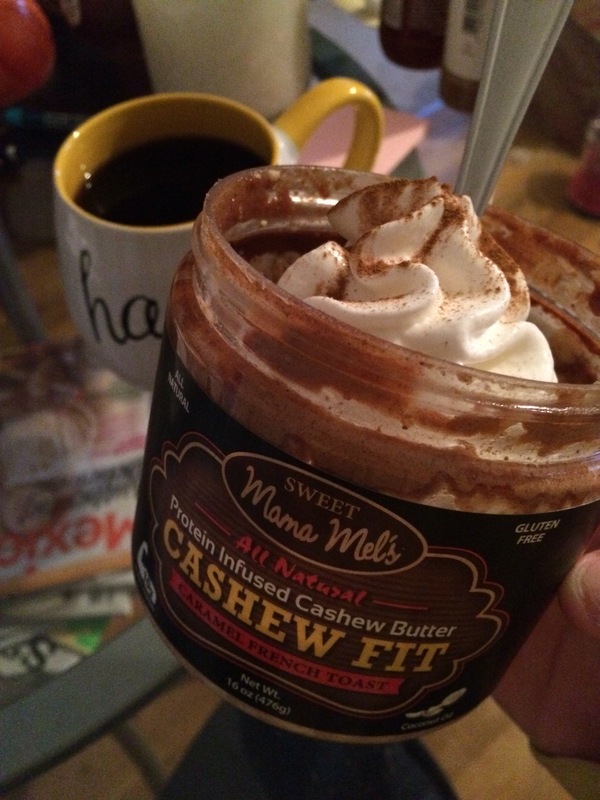 You can add whatever you want, just remember that macros and calories change as the brands or ingredients change, but you’re smart enough to figure that out. 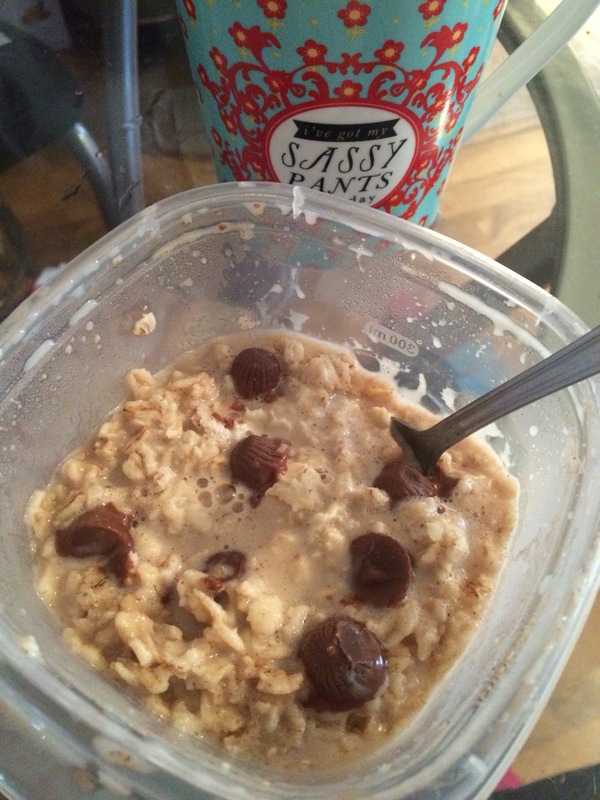 Measure out a 1/2 cup of oats (or a serving according to your label) in your container. Add 5 ounces or 2/3 cup of almond milk (you can use any milk, I have a dairy sensitivity to certain products). To measure I used a liquid measuring cup. Add a little cinnamon to taste and vanilla extract. 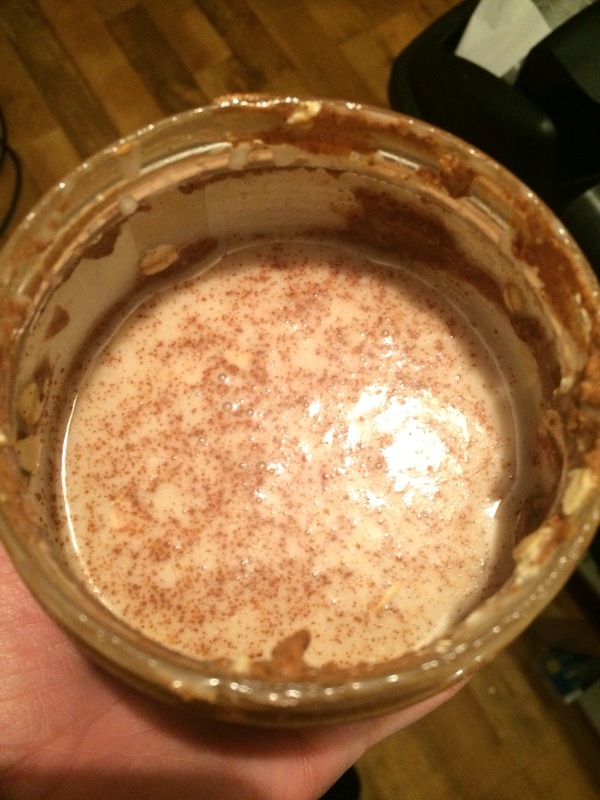 Stir until cinnamon appears to be well mixed. Add protein powder if desired. Place in fridge for overnight because you know, they’re overnight oats. I’m sure they could sit for a few hours if you wanted them for later in the day, but overnight allows them to really absorb the milk. This is the basic recipe that I follow every time I make over night oats. Most oats I will add a nut butter. I keep a million different kinds and flavors in my pantry, and they all have very different nutritional value. So it depends on the day as to which one I use. 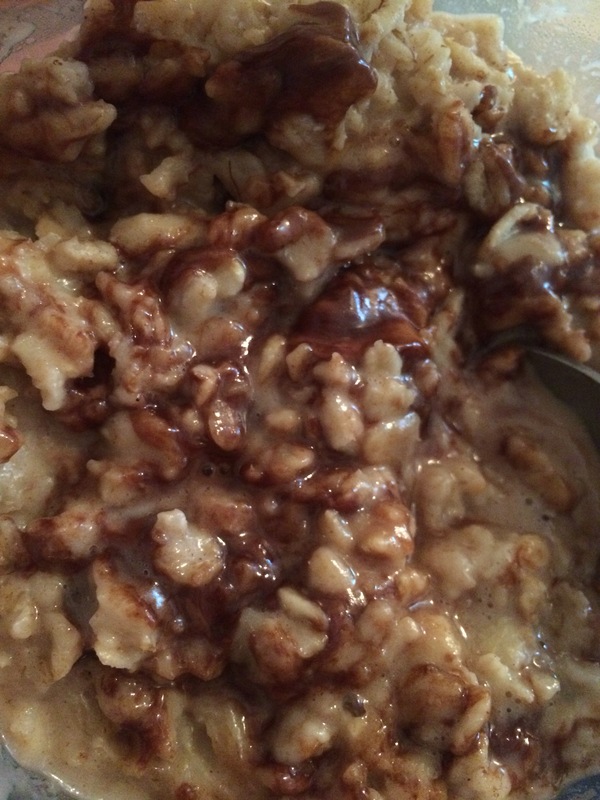 Below are some photos of oats I have made in the past few weeks. I’ve listed the extra ingredient and the macros for them. Side note: I add half a scoop of whey/casein blend to my oats for more protein. This makes them thicker, you may need to adjust liquid for protein powders. I have found 2/3 cup is enough for thickness. Have fun with your flavors!